We have much to be thankful for! Enjoy this time of good food and fellowship with your family and friends. No Thursday night service this week but we will see you the following Sunday. 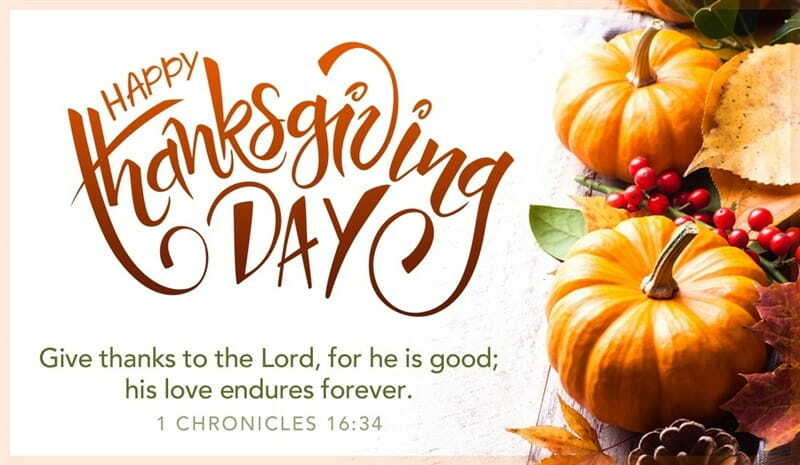 God bless and give thanks!